Can you tell I have marshmallows on the brain? We LOVED this activity. I couldn’t find our mini tongs, so Noah had to use the big salad tongs; but he did fine with them. 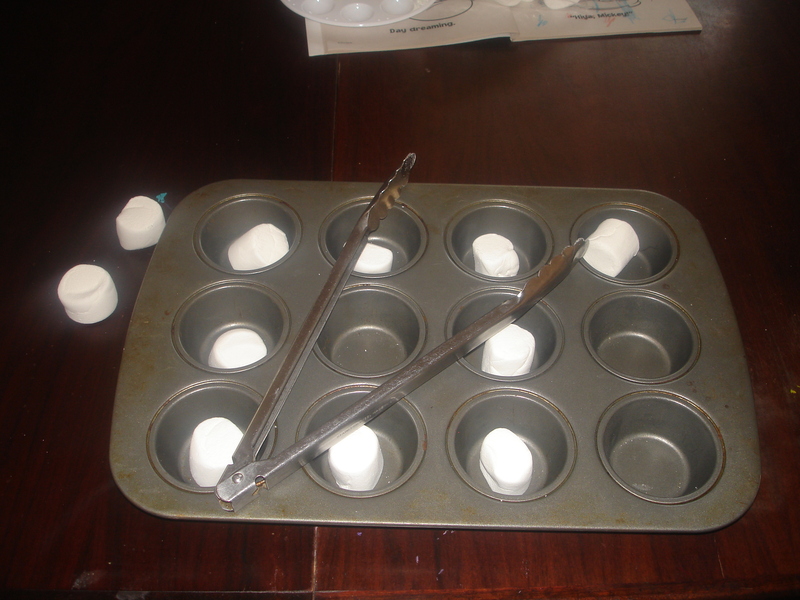 I loved how the marshmallows offered just the right amount of resistance – a texture we just don’t find very often. By the way, being able to identify money is an important life skill for all of our children, and one certainly attainable by most children with autism, Down syndrome and other learning disabilities or challenges. One of the things I’ve noticed with Noah is that he does not have the tolerance to do the same activity for very long, especially when it comes to preschool. While I might expect Bella to match ten different coins at a sitting, my expectations for Noah are for him to match only five. It’s still enough to demonstrate mastery, but it allows him to start a goal and reach that goal in a short amount of time. 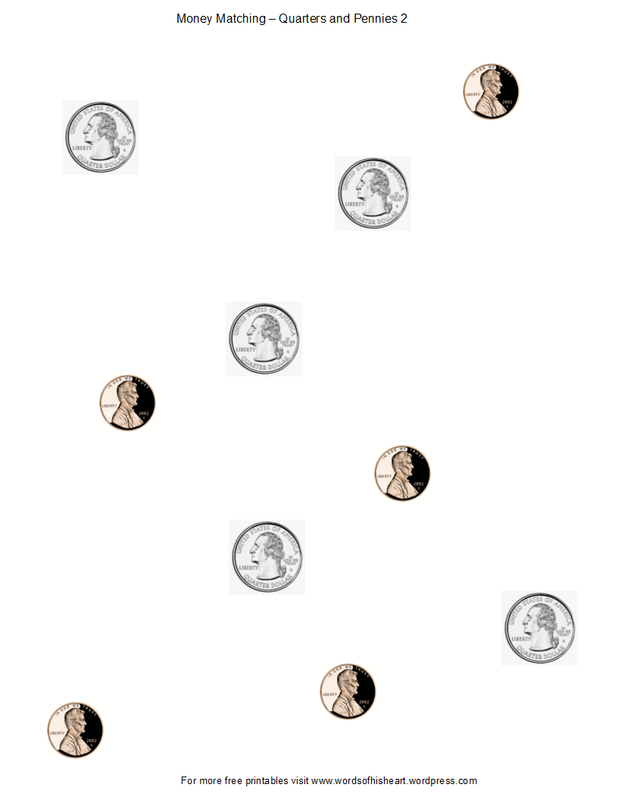 With Bella, this coin matching activity is something I will do only once in a day with 10 coins to a page, but with Noah, I may do it once in the morning and once in the afternoon with five coins to a page. So his goal is not necessarily different (the goal being to match 10 coins to 10 coins), it is just reached in a different manner (in two shorter sessions versus one longer session). 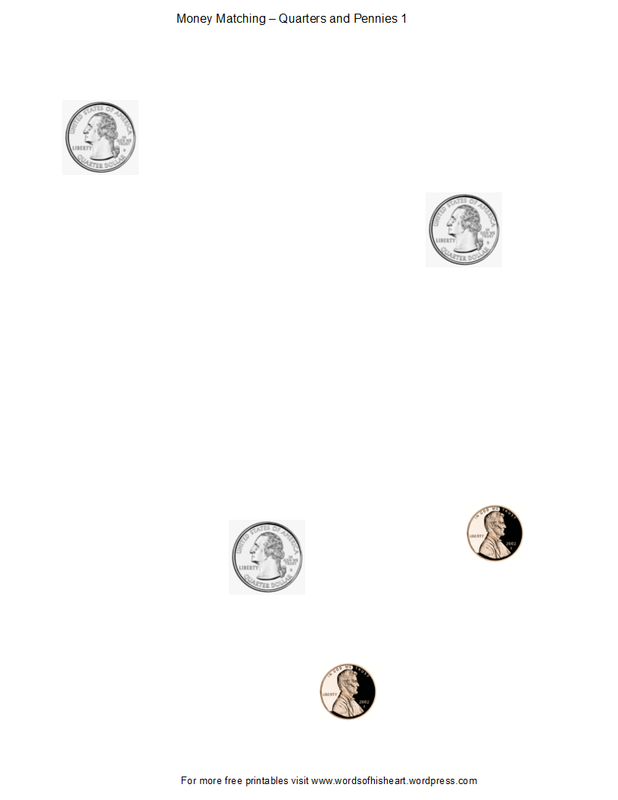 Vocabulary: Money, match, same, different, quarter, dime, silver, brown, big, little, circle. Show your child the money and let him hold it. Use the vocabulary listed above to describe the different coins. Take away the pennies, leaving your child with the quarters. 4. Repeat the process with the pennies. A Step Up: If your child is still on board, now place all the coins in front of your child and have him match each physical coin to each printable coin independently, offering gentle correction in the form of questions like “Wait a minute, is THAT a QUARTER?” when necessary. When your child is finished, have him point to each coin and name it as either a penny or a quarter.